Nilesh joined Watsi on September 3rd, 2017. One year ago, Nilesh became the 3120th member to automatically support a new Watsi patient every month. Since then, 1,966 more people have become monthly donors! Nilesh's most recent donation supported Yabesera, a baby from Ethiopia, to fund corrective surgery. Nilesh has funded healthcare for 20 patients in 8 countries. Ler Moo is a 32-year-old man from Thailand. He lives with his wife and three daughters in Mae La Refugee Camp, Tak Province. In his free time, Ler Moo likes spending time with his family. Ler Moo experiences abdominal pain, and his condition has not improved with medication. He was diagnosed with gallstones, and his doctor informed him that he requires surgery. Ler Moo has been advised to undergo a cholecystectomy, the surgical removal of the gallbladder. If left untreated, Ler Moo's symptoms will continue to worsen and put him at risk for further health complications in the future. After seeking treatment through our medical partner, Burma Children Medical Fund (BCMF), Ler Moo is scheduled to undergo his cholecystectomy on October 4. BCMF is requesting $1,500 to cover the total cost of Ler Moo's procedure and care. “After surgery, if I feel better, I will try support my family as much as I can. I will apply for a suitable job in the camp so I can have an income to support my family,” says Ler Moo. Patience is a baby from Kenya. She is the second child in her family. Unfortunately, Patience was born with an unusual condition that causes bowel dysfunction. If not treated, she is at risk of developing infections. Fortunately, Patience is scheduled to undergo corrective surgery on October 2. Her family needs $708 to fund this procedure. Jeniffer is a farmer from Kenya. She is married and a mother of seven. Jeniffer rears sheep and goats in order to support and educate her children. In mid-August, Jeniffer accidentally fell while chasing after her goats and injured her leg. She is unable to stand or walk and is in chronic pain. Fortunately, surgeons at our medical partner can help. On September 6, Jeniffer will undergo a fracture repair procedure, called an open reduction and internal fixation. This treatment will enable Jeniffer heal well and she will be able to walk easily again. Now, our medical partner, African Mission Healthcare Foundation, is requesting $968 to fund this procedure. 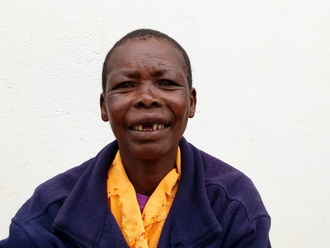 Jeniffer says, “Kindly help me because I cannot bear this pain and suffering. My children are worried about my health." Tinsaye is a cute baby girl from Ethiopia. She is an only child to her young parents and loves playing and laughing with her mother. Tinsaye was born with an anorectal malformation, a congenital abnormality that leads to a complete or partial intestinal blockage. She needs to undergo a series of procedures to eliminate bowel dysfunction. Tinsaye is scheduled to undergo surgery to correct her condition on June 19. Our medical partner, African Mission Healthcare Foundation, is requesting $1,500 to cover the total cost of Tinsaye's procedure and care. After her recovery, Tinsaye will no longer experience bowel dysfunction or be at risk of developing health complications in the future. Her father says, "We can’t afford the medical bills and raised funds for transportation to come to the hospital. It is our hope to get the surgery and to see our child healthy." 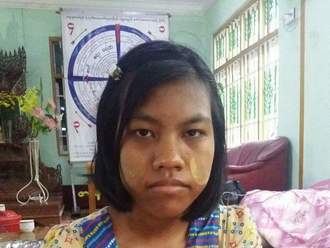 Thein is a 17-year-old student from Burma. She lives with her parents and two younger brothers. 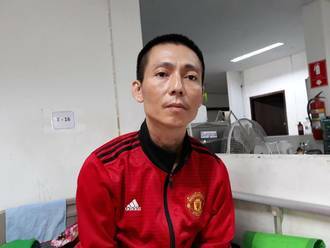 Thein was diagnosed with a heart condition that involves a malformation of the mitral valve, the valve between the left atrium and left ventricle. This valve controls the flow of blood, but certain conditions may cause blood to flow backward or the valve to narrow. Because of this, Thein must rely on her mother to help her with everything. However, her declining health has not stopped her desire to continue her education. She is determined to pass her grade ten exams and start university this year. 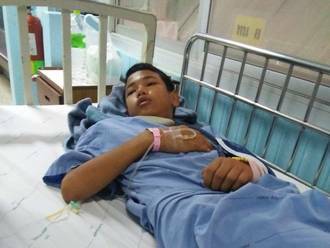 Our medical partner, Burma Children Medical Fund, is requesting $1,500 to fund a mitral valve replacement for Thein. The treatment is scheduled to take place on May 2 and, once completed, will hopefully allow her to live more comfortably. She says, "My favorite subjects are chemistry and economics. I want to become an engineer."